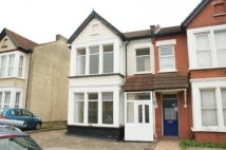 Host Student Ltd are pleased to offer this quality student accommodation in a 5-bed house share, ten minutes walking distance to the University of Essex Southend campus. The house has large bedrooms and a communal dining/ kitchen area and utility room. The property has a large garden and off-street parking. Weekly rents are for secure rooms in a house share, including BT broadband internet access. We recommend early viewing to avoid disappointment.